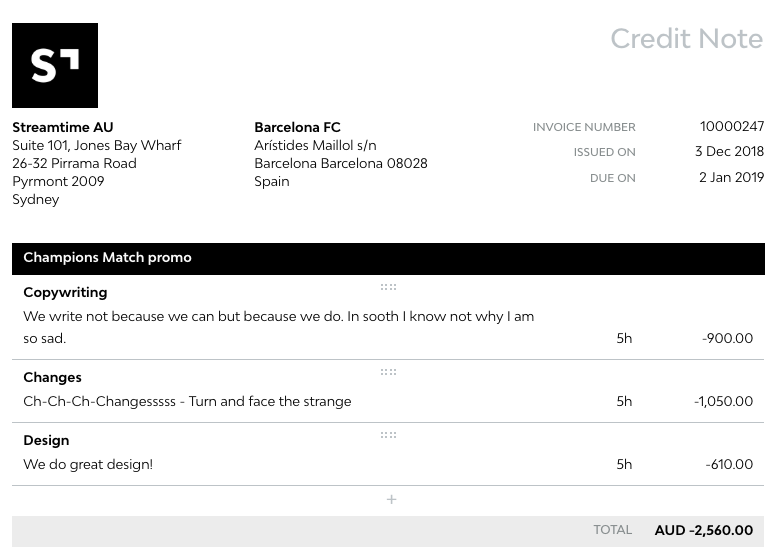 Sending a credit note from Streamtime is as simple as creating an invoice and changing the figures to negative amounts. Streamtime will automatically change the name and status to Credit Note for you. The invoice status will also display in your invoice list under Jobs > Invoices so you can keep track and report as required. Note: For clients that integrate with Xero or Quickbooks, the accountancy packages don't not support importing invoices with total amounts of $0 or less so you won't be able to export them from Streamtime.